Kiwi fruit, also known as Chinese gooseberry, is native to Chang Kiang Valley of China. It is recognized as the national fruit of China. The Chinese prepared the tonic from kiwifruit due to its high nutritional value. But it was the New Zealanders who recognized the potential of this juicy and delicious fruit. They began cultivating it for commercial purpose. Kiwi was formerly known as Chinese gooseberry but the New Zealanders changed its name to kiwi fruit after their national bird. 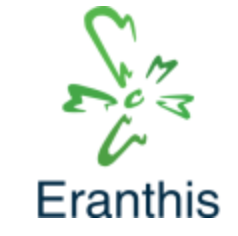 At Eranthis Labs we emphasis on the fact that what you put topically on your skin, is only half of what you can do to have a youthful and energized skin. The other half has to do with your life style, and what nutrition you take in. Kiwi is the leading source of vitamin C in the fruit world. We know that vitamin C has huge benefits in keeping skin young and vibrant. Kiwi is not only a delicious and nutrient-rich fruit but also a great natural ingredient for your skin care. It contains several skin friendly nutrients like vitamin C, E and antioxidants. These are essential for boosting and rejuvenating your skin’s health. Kiwi is loaded with dietary fiber and antioxidants, making it an excellent laxative. Regular consumption of the kiwi fruit juice aids the body in eliminating toxins and wastes. Thus, it results in healthy and glowing skin. The high amounts of vitamin E in kiwifruit keeps the skin moisturized and well-conditioned. It is used in the regeneration of skin cells, thus assisting in making the skin flexible and youthful. Vitamin C is beneficial for keeping the skin young and vibrant. It is an essential ingredient required for the production of collagen. Collagen is a connective protein required for keeping the skin firm and supple. It assists in healing of abrasion and cuts. It also prevents the skin from becoming rough and dry. Kiwi fruit for skin also aids from skin diseases. The omega-3 fatty acids are very essential for preventing a number of skin diseases. It is also required for maintaining healthy cell membranes. Mix kiwi pulp with lemon juice and apply it on to the skin. Leave it for 15 minutes and wash it off with cold water. This face pack helps control excess sebum production. Mash half avocado and a kiwi fruit until it has acquired a smooth consistency. Add 1 teaspoon of honey to the paste and apply it on your face and neck. Wash it off after 15 minutes to get smooth and glowing skin. Kiwifruit is packed with antioxidants which neutralize free radicals, stepping the process of regeneration. It scavenges the free radicals to delay the signs of ageing like wrinkles, age spots and fine lines. Kiwi fruit contains natural AHAs and anti-inflammatory properties. They help fight acne and clear the pores to prevent further breakout. Applying mashed kiwi fruit topically on the skin can bring down various forms of skin inflammations like boils, zits, pimples and abscess. Kiwi fruit is rich in amino acids which fight the harmful rays of the sun, preventing sun damage. Consuming kiwi fruit juice on a regular basis stimulates the development of new cells in the skin layers. It also improves the hydration of the skin, thus making the skin younger and glowing. 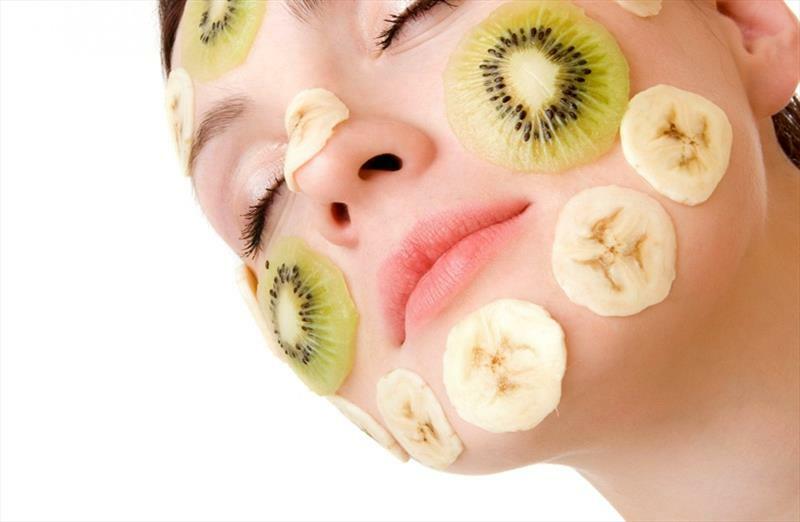 Application of mashed kiwi fruit on the skin helps to transport important nutrients into the dermal layers of the skin. Take 1 ripe kiwi and blend it in a processor. Mix it with yogurt and apply it on your face. Massage your skin gently for a few minutes and then wash it off after 15 minutes. Vitamin C in kiwi fruit may also help to lighten the skin tone. Prepare a natural scrub using 1 teaspoon of kiwifruit paste, 1 teaspoon of lemon juice and 1 teaspoon of oatmeal. Add a few drops of kiwifruit seed oil and stir to form a smooth paste. Use this every day to get even toned skin. The peel of the kiwifruit contains enzymes which exfoliate the dead skin cells from the skin. Peel the kiwi fruit and scrub the skin with the inside of the peel every day for a flawless and smooth skin. Fruits rich in vitamin C and E can help fight hair loss and maintain proper health of the hair. It contains minerals like magnesium, zinc and phosphorus which stimulate blood circulation, accelerating hair growth. Kiwi fruit contains high amounts of vitamin C which contributes to the collagen formation on the scalp. It facilitates the absorption of nutrients on the scalp, nourishing the health of the hair. The high content of omega-3 fatty acids in the kiwi fruit seed oil hydrates the hair without weighing it down. The oil is best suited for dry and unruly hair. The high amounts of copper in kiwifruit maintain the natural color of the hair, preventing premature graying. Kiwi fruit is packed with iron, a nutrient required for maintaining the proper health of the hair. Iron improves blood circulation in the body, stimulating hair follicles to promote hair growth. Regular consumption of kiwi strengthens blood vessels to reduce scalp conditions like dandruff and scalp eczema. It also inhibits scalp inflammation to prevent hair loss.